In Cold Blood is a special book, for a lot of reasons. Not only is Truman Capote one of the most accomplished writer's in American history, but this book was also the first time that a 'true account' had been written up in a decidedly 'novel' format. Truman Capote was the first writer to effortlessly blend the intimacy of novel-writing with the objectiveness of journalism. He created a new genre through this portrayal of the murders that rocked a small Midwestern town in the autumn of 1959. I am a huge fan of journalistic writing. As a die-hard fan of writers like Graham Hancock, Charles Pellegrino and Richard Rubenstein, it wasn't hard for me to immerse myself in a story like this one. Journalism is often hard to translate into a book because journalism can be dry, most likely because it is meant to be objective. The writer is not meant to become intimately tied to whatever or whoever it is he/she is writing about. 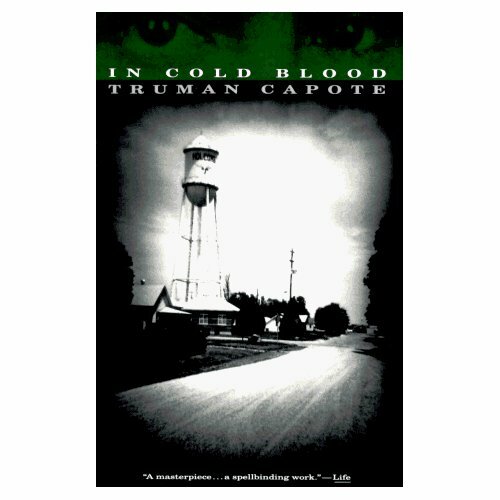 Truman Capote, through this work, provided the reader with the 'cold, hard facts' while retaining that oh-so-important human element that is often overlooked. I found the book to be compelling, melancholy, credible and unbiased. Even though it was clear in the book that Capote had cultivated a 'personal' relationship with one of the killers (because he was obnviously obsessed with him), he, in no way, allowed that to interfere with the objectivity of the novel. At no point in this book do you feel Capote's presence, as in his personal feelings towards the case or outcome. I find that to be perhaps the most impressionable thing about this book. Capote is a master with words. Every sentence, every word, every syllable is weighed to its core. There are no unnecessary dialogues, no premature conclusions. You can literally see, in your minds' eye, the wind blowing through the wheat fields of Kansas. You can feel what the inhabitants of that small, unsuspecting town must have felt. You can hear the gun shots, feel the fear and see the inevitable outcome. The book is weighed and measured flawlessly. No wonder its a classic and required reading in most American schools. That good? I'll let you know if i concur next week. it was like he already had the story written, and the interviews and fact finding were intended to simply coroborate his text....regardless of what the subject said he always tried to get a soundbite to strengthen his own bias.